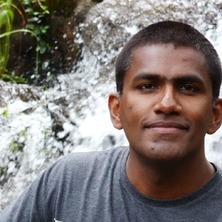 Missaka Hettiarachchi, is a Senior Fellow of the World Wildlife Fund. He is also an Adjunct Senior Fellow at the University of Queensland, Australia and works closely with the Australian Research Council Centre of Excellence for Coral Reef Studies, James Cook University, Australia. Missaka is an Environmental Engineer by training and holds a PhD in environmental planning from the University of Queensland. His main research interests are in urban environmental governance and post-disaster environmental planning, in the global south. He has worked as a researcher and a practitioner in Sri Lanka, Australia, India, Nepal, USA and Haiti. ​Missaka has published many international journal articles, book chapters and booklets on environmetal policy, planning, and management in English, Sinhalese and Tamil. Hettiarachchi, Missaka, McAlpine, Clive and Morrison, Tiffany (2013). Governing the urban wetlands: a comparative case study of ecology, ecosystem services and government policy. In: SWS 2013 Annual Meeting Abstracts. 2013 Society of Wetland Scientists Annual Meeting (SWS 2013), Duluth, MN, United States, (). 2-6 June 2013. Hettiarachchi, Missaka and Hettiarachchi, Induni (2007). A comparison of guidelines on septic tanks and soakage systems in Sri Lanka. In: , , (26-29). .